Best? Oh yes they are! This year I took a little more time off at Christmas than I have ever done before. I worked from home so managed my emails, no out of office was used so hopefully nobody noticed I wasn’t in the restaurant. I asked Victor if he thought the team minded, he said they were delighted….. Not sure if there is an underlying comment there. EVERYONE WAS HAPPY, that’s what matters! RESULT. Victor has a little weakness, I’ve mentioned many before so you can add this to the list, but he loves buying theatre tickets. I think he forgets we have three businesses and three children to look after. 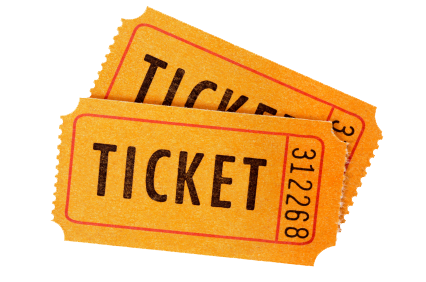 I can’t tell you how many tickets we’ve given away as an event has come up and we’ve had to work. This year, like each and every year, he bought 5 tickets for the Panto (mummy day and the three children); Cinderella with our heroes Andy Grey, Allan Stewart and lovely Grant Stott. It was hilarious. Best Panto ever. I’ve never laughed so much since last year. “I’m just nipping down to Greggs for a quickie…..It’s not a quickie…… it’s a quiche! “ This will be my joke of 2017. My son has taken to mimicking “Hibernia”.. Our Panto Dame Grant Stott. I may have to invest in elocution lessons moving forward! Grant if you ever lose your voice Orlando will happily do a voice over. I haven’t told you that my mother joined us rather than Victor, that was nice you might say, no, the truth is Victor got his dates wrong and despite booking in March, the only 5 tickets he could get together that weren’t in the “Aldi” one day shelf life discount seats were for 5pm on Hogmanay. Now Mr Victor had completely forgotten that 5pm on Hogmanay is one of our busiest sittings just before our busiest busiest sitting of the year at both Cannonball and Contini George Street. So he didn’t get to come – Nonna came instead. The show was wonderful and it is so Edinburgh, so local! Its Slow Food, eat local, independent restaurant of the comedy calendar. If you landed from Mars (or from the Australian like the family in the Balcony – somehow I suspect the Balcony was only sold to our friends down under – probably down under in Portobello) you may not have a clue but the energy in the room would blow you away and you’d be booking for next year by the time you leave after 2 hours of top notch, 5 star, Michelin grade (if that floats your boat) world class entertainment. A few Christmases ago we took the children to New York and we went to Radio City to see the Rockettes. 40 santas doing the cancan on stage is world class. New York has it’s Christmas extravaganza and we have the Panto at the Kings. They are in the same league but totally different, in scale, in budgets, in financial contributions but not in their spirit and character. Like for like they are both amazing. But they cater to the local audiences primarily and seeing it in the city that is there home adds so much more value. They have character and they have heritage. They are unique. Ok what’s my point. Don’t let Victor book any more tickets? No. My point is that most of our favourite things connect with us and often have a sense of place. The Panto, the Rockettes have a place and a purpose and the connect with our memories either of happy times in New York or happy family times in the Kings. Our Edinburgh independent restaurants do exactly the same thing. They have a sense of place. They hold memories and they connect with us. The influx of chain restaurants to our city have no sense of place. They have no memories and they don’t connect I wouldn’t want to see the Panto in New York, my point is that who wants to go to chain restaurants when the local ones do such a good job. Unique independents are best. The Rockettes and the Panto are institutions that have been entertaining their cities for decades. These big chain restaurants are formulas that have been created in private equity board rooms. Their story doesn’t cover Scotland or artisan suppliers that are hand picking olives in rural communities that supports 100 years of heritage in the south of Italy. Often the chains are supporting offshore funds with little or no reinvestment in the wider local community. My pound is supporting the local restaurants in the city that I love. Yes my children will get a Krispy Kreme from time to time but I know that’s not the best call for their health to our pockets. But it’s once in a blue moon and its ok because the bigger picture is safe through the bigger wider local choices. Who wants beef from Brazil or Argentina when we have amazing beef in Inverurie or Orkney? Chain restaurants are not like the Bolshoi Ballet visiting for 2 shows. The Panto is with us every year from late November to January. Chains are with us 365 days a year. They aren’t popping up to give us a once in a lifetime chance to experience something unique. Chains are bleeding reinvestment from our wider community they are disconnecting us from our local heritage. . So as the Panto has kept generations of us entertained I know that our independent restaurants will continue to do the same despite the massive shift in supply that the city has been faced with. The Panto, the Rockettes and all us indie foodies are our heritage and we’re really proud to be part of a bigger story. Because we know the chains are way behind us in terms of uniqueness, commitments to you our customers and commitment to our wider family of suppliers who we need to deliver our identity, oh yes they are!